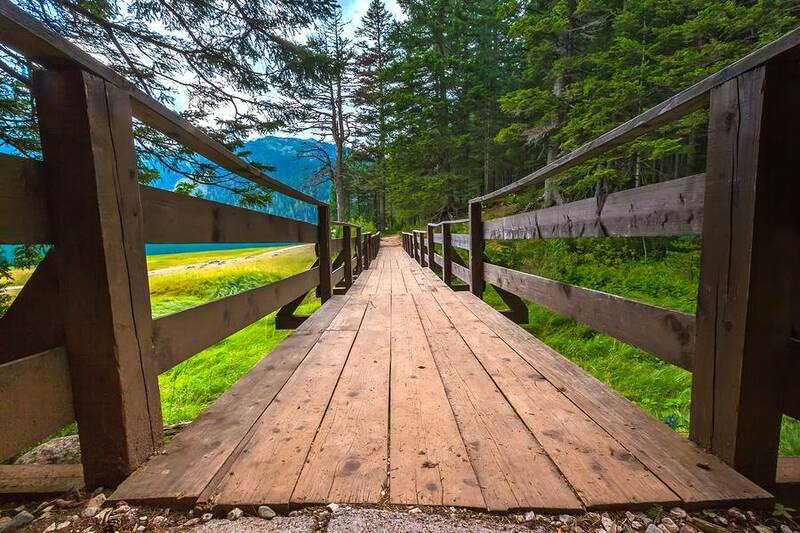 Discover Montenegro in a rousing walking guided holiday from Durmitor National Park to the Adriatic Coast. 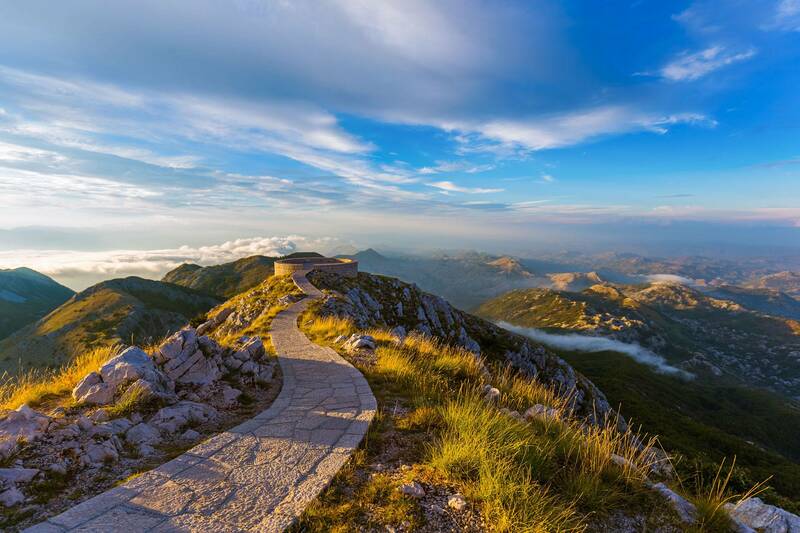 Adventure walking vacation in Montenegro and Dubrovnik- The Tour is designed to be active, but not in a demanding way. Led by an experienced guide, you will have the chance to discover Montenegro and nearby Dubrovnik, you will have the chance to pamper yourself with unspoiled nature, hiking from the high peaks of the Durmitor National Park to the Tara Canyon, and to the Lovcen Mountain from where enjoy unique sunsets above the clouds before reaching the coast and the picturesque towns of Budva and Kotor. A trip that will give you the opportunity to discover this small country, with its natural beauties and welcoming people, you will have the chance to enter in touch with local communities and know their traditions , discover Unesco Heritage Sites like the Old Town of Dubrovnik and Kotor ..without forgetting the tasting of authentic local dishes and bioproducts..
8 Day for nature lovers...for who is seeking an active holiday in a blend of outdoor and culture experiences..
We could organize car or van transportation to/ from the tour starting point what is not included in the tour price. Arrival in Zabljak and meet your tour leader. 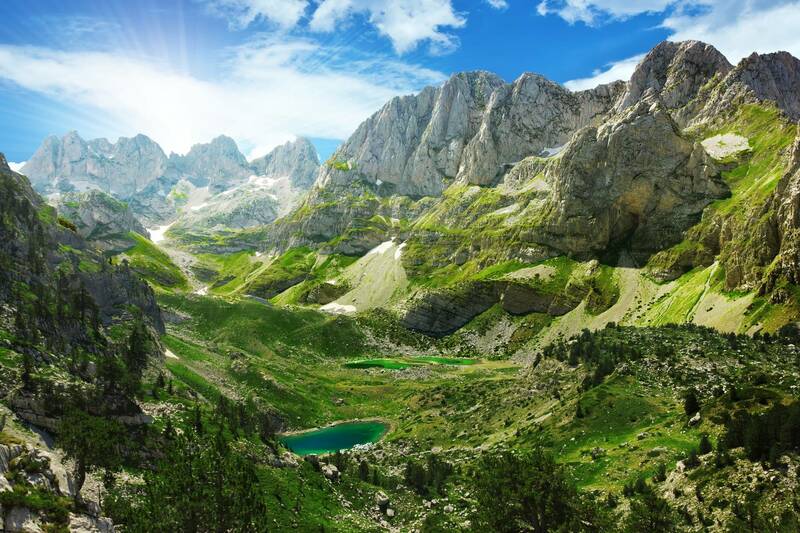 Afternoon option for the Durmitor Lakes walking tour (subject of your arrival time). 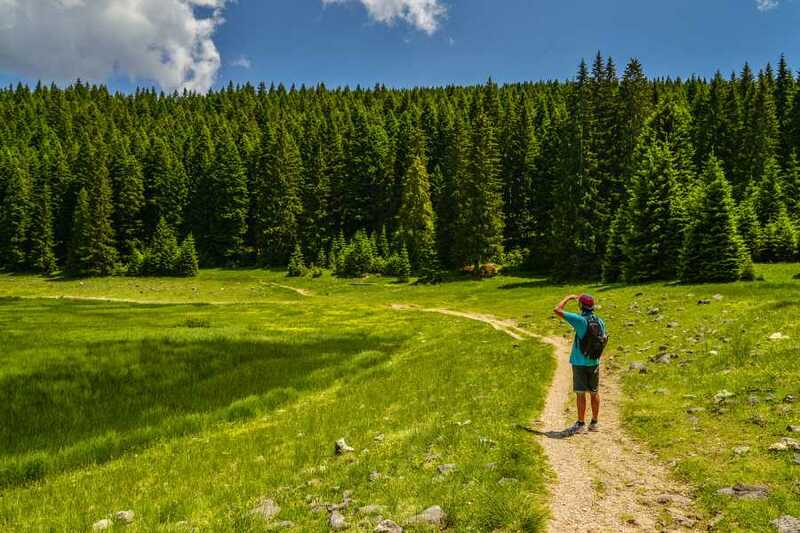 You will stay at the Durmitor plateau and explore some of the 19 glacial lakes.Walking to Crno Jezero (the Black Lake)-terrain is flat and a path leads through fir/ pine forest. Going around the lake and continue towards the Zminje Jezero (the Serpent Lake). From the Black to Zminje lake there is a small climb- we will gain 50m elevation, the terrain is mostly flat. From Zminje Lake we go back to Zabljak passing by the third lake- Barno. Return to hotel. Walking 4h-5h, ascent +50m/ descent –50m. Night in 3* hotel in Zabljak. Heading out after breakfast this morning you take a trail that passes by the Black Lake and then up into the mountains, heading through a changing landscape of fir forests and low alpine vegetation and onto the snow-covered peaks. Our destination is the Previja Pass (2145m), located beneath the heights of Medjed (Bear) peak (2287m), where we will enjoy a quite spectacularly scenic lunch overlooking the majestic vistas below us. Whilst bear and wolf are rarely sighted in the park, there is a chance of spotting chamois on the high mountain slopes, as well as fox, weasels, and badger. The area is also rich in birdlife, with 130 different species being recorded here, including grey mountain eagles, white-headed vultures, and crossbills. From spring to midsummer the landscape becomes a blaze of colors, with the alpine meadows blanketed in a rainbow of hues from gentians, anemones, violets, soldanella and wild strawberries. After our lunch stop, we will head back down to Black Lake, following a trail that takes us via a shepherd’s camp at Lokvice, before returning to the hotel. Walking 6h-7h, ascent +800m/ descent –800m. Today you have an easier day to rest after the day before circuit hike. 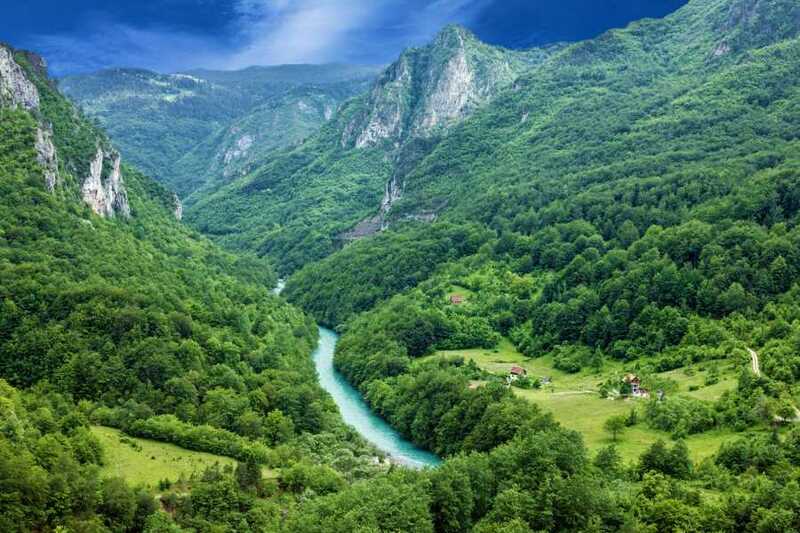 You stay at the Durmitor plateau and walk through farms, forests and vast meadows to the summit of Curevac- a viewpoint above the Tara Canyon. Going back a different way. Mostly flat terrain with some small rolling hills. Start from Zabljak- 1.460 meters and the highest point is Curevac 1.625 meters. 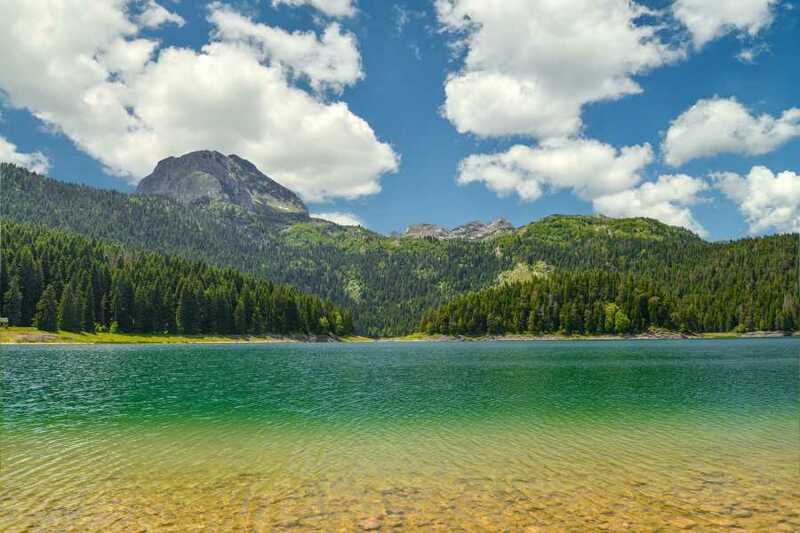 Today you leave the Durmitor National park and head to the Adriatic coast. After 2h of driving, you arrive at the Ostrog Monastery built by St Vasilije (Basil) in the 17th century. Stopping to visit the lower monastery – the Church of the Holy Trinity – you then take a 30-minute climb along the pilgrim’s path to the higher one. Set before the imposing backdrop of sheer vertical walls the whitewashed walls of the upper monastery makes for an inspiring spectacle. The monastery contains the bones of St Basil, reverentially housed in a sepulchral sanctuary that is linked to another chapel by an atmospheric series of caves and passages. The walls are crammed with offerings and pleas from the faithful and the entire atmosphere of the monastery is one of reverential piety. Afternoon transfer to the Kotor Fjord and the Adriatic Coast. 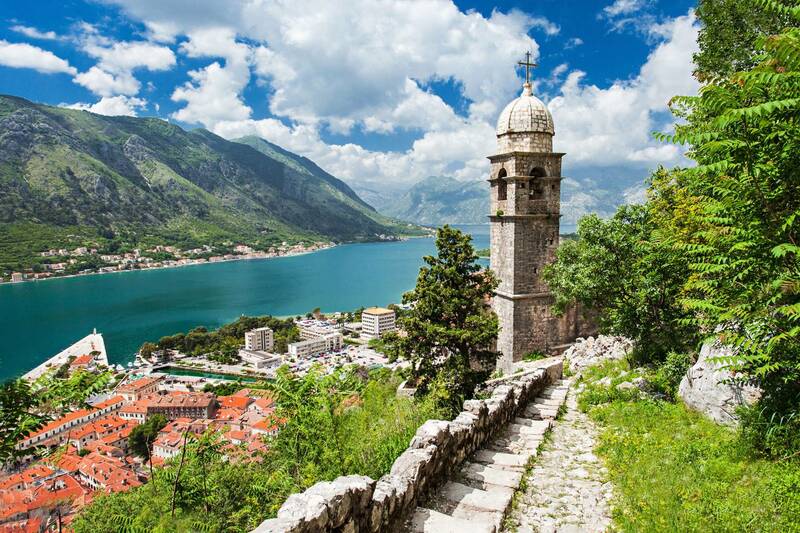 With one stop at the viewpoint above Budva Riviera, we will arrive in Dobrota or Prcanj town which is located in the Boka bay next to Kotor town. Night in 3* hotel in the Kotor Fjord. This morning you visit the old medieval city of Kotor, lying beneath the slopes of Mount Lovcen. An engaging mix of European and Byzantine influences, Kotor was once an independent city republic, until the threat of Ottoman attacks saw it throw its lot in with the Venetians. We’ll take a wander through the old city, walking its city walls to enjoy the views of the medieval rooftops and out across the fjord from the Ivan Tower at the top of the ramparts Under the Venetians Kotor became one of the best-fortified cities in the region, boasting walls twice the length of Dubrovnik, and these same walls provide us with a fascinating glimpse into its turbulent past. After lunch, the afternoon is free to continue exploring at your leisure. We can recommend a boat trip out into the fjord, taking in some of the small islands that occupy the turquoise waters off the coast and visiting Gospa Skrpjela, Sv. Djodje and the historic town of Perast. Of course, you may just wish to continue enjoying the delights of Kotor, perhaps taking in the Romanesque grandeur of St Tryphon’s Cathedral, or visiting the fascinating maritime museum. Walking 2h30 with Denivelation +300m/ -300m. Transfer to Budva (30 min long ride) and free time to explore the town. 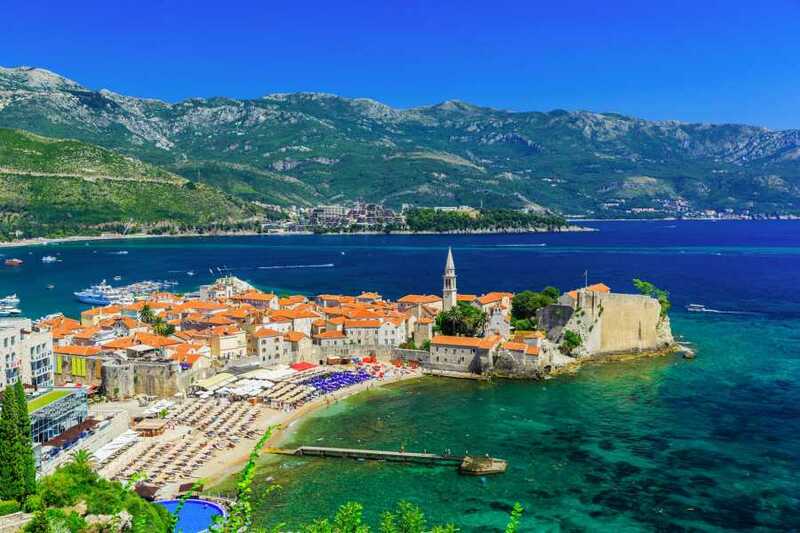 A small fortified town of Budva is the most popular coastal town in Montenegro.Transfer to Brajici village where our hike starts. Passing by the Kosmac Fortress trail reaches Ogradjenica Katun (Shepard’s place) and St Spiridon mountain church. During the hike, you will enjoy the view of Budva Riviera. Descend to Monastery Praskavica and famous St Stephan island- hotel. Possible swimming at St Stephan’s beach. Return to Kotor Fjord. Walking 5h with an ascent of +100m and descent -550m. Option 1: Transfer to Dubrovnik (90km). We leave you at old town gate and give a free time to explore this magnificent town. Afternoon, transfer back to Kotor Fjord. Option 2: Vrmac Mt. hiking. 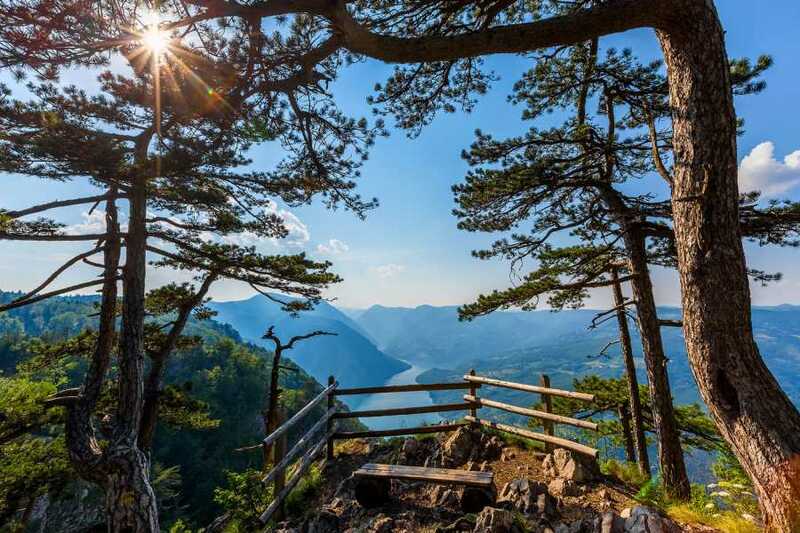 It is a very scenic walk which starts with the zig-zag trail which will take you at the top of the Vrmac mountain. The hiking trail passes through Mediterranean forest and walking is pleasant even during very sunny and hot days. Passing by village Gornji Bogdasici and coming out on the ridge where both northern and southern sides offer great views on Kotor fjord. Descending to Markov Rt-one of the longest sandy beach in the fjord. Possible swimming on the beach. Walking back to Prcanj along the sea on the small local road. Walking 6h with an ascent of +650m and descent -650m. We will be settled in three-star family run hotels both on Durmitor and Prcanj, Dobrota or Kotor town in the Boka Kotorska fjord. All rooms are with private facilities. All hotels have restaurants with great choices of local specialties. If you have some dietary restrictions we will be happy to adapt our menu to you. All breakfasts and dinners included in tour package will be served in the hotels' restaurants. Lunch included in the tour package is either lunch packets or picnic lunches.